New Google UK Doodle – What’s Up? Have you paid Google UK a visit today? I suppose that if you’re not from that part of the world, there is no real reason for you to visit Google UK. Indeed, if it weren’t for a “tip” from a friend, I wouldn’t have given Google UK a look today. Anyhow, the Google Doodle, as you can see, is made of lots of little balls, which scatter all over the place when you hover your mouse over it. 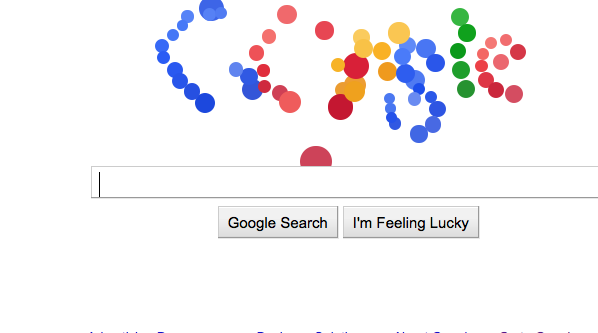 That’s me trying to capture the dispersed balls before they go back to forming the word “Google” again. Unfortunately, the balls keep beating me over and over again. So what is the reason behind this Doodle? We know how Google periodically applies changes to the homepage logo to celebrate special events. During the Olympics, the logo changed to reflect the various sports. 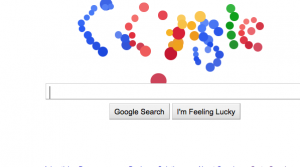 Occasionally, the Doodle is interactive – just like the Pac-Man Doodle released in May, which I think was the first interactive Google Doodle. The rationale behind that Doodle was easily understood – Pac-Man’s 30th birthday. 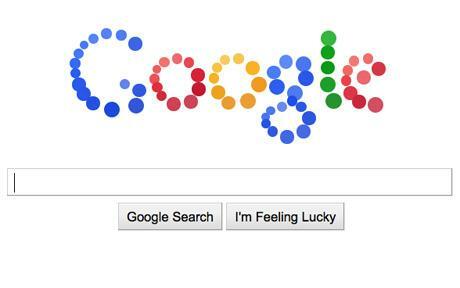 The balls on Google UK today, though, no one seems to know what inspired them.